A little while ago I introduced you to a new game that has taken the world by storm. "World.. by Storm" is a boutique clothing store on Granville Street, Vancouver that specialises in flip flops made entirely from recycled cat litter. They love the game in that store, everywhere else ..not so much. 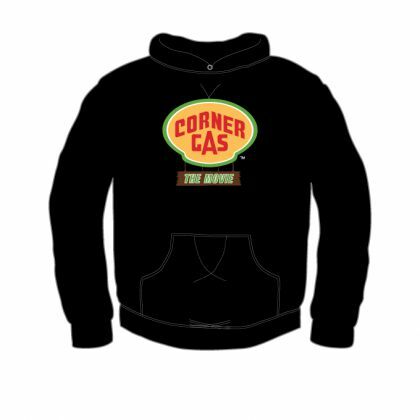 Basically the idea was to link any person or project with something relating to Corner Gas so I can shoe horn in a post that doesn't technically belong on a site dedicated to your favourite t.v. show. This is an idea I came up with entirely on my own and has no basis in the similar "Six Degrees of Kevin Bacon" which hopefully most of the world have forgotten about by now thus allowing me to get away with this sentence. 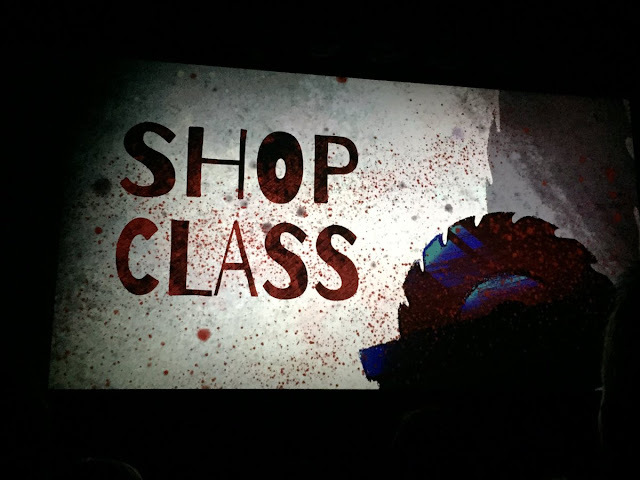 Recently posted on You Tube, officially - not a naughty pirate, is the fantastic short film "Shop Class". 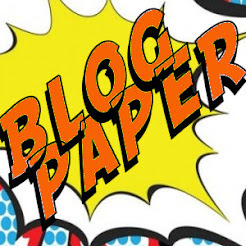 I know, how the dickens am I going to link that back to Corner Gas, it will be tough but I will give it a good go - strap in folks, here it comes, a whole new round of "Six Degrees of Dog River" you lucky people you! 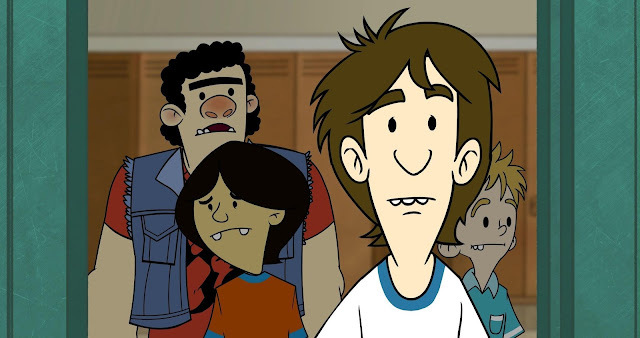 Just Friends co-starred Fred Ewanuick who provides all the voices in Shop Class! Fred Ewanuick is in Corner Gas!!!! Woooo! I did it...take that doubters! In six moves too no less! So lets dig in to this completely relevant little gem of a movie. Shop Class is written and directed by Hart Snider. 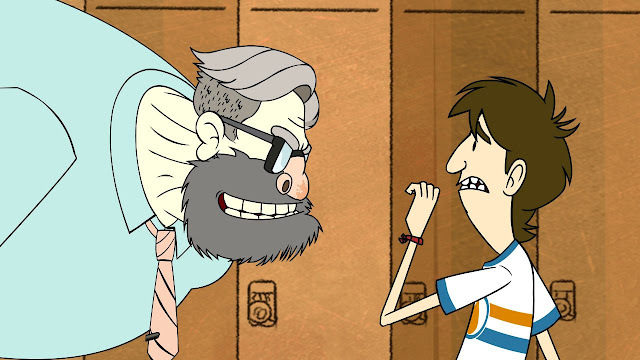 A semi-autobiographical animated comedy telling the tale of the horrors of having to take a class in Grade 8 with a notoriously harsh teacher. A quiet pupil who just wants to take Home Economics is pushed to the limit by his new nemesis. What will become of the young student, will good prevail over evil and will Hart ever pass shop class and win the gal of his dreams? The short is a follow up to Mr. Sinder's previous work "The Basketball Game" which told the story of a nine year old at Jewish summer camp playing basket ball against students of a local holocaust denier. Both works are obviously autobiographical and send the audience back to 1980s when attitudes were slightly different to the where they are now. This is very apparent in Shop Class. The monster of the piece, Mr. P. is a teacher that many of us of a certain age will remember. We all had a Mr. P or two in our school that would be able to wring fear from the spine of even the hardest of students. My own educational demon was Mr Gill, who didn't look too different to Mr P in Shop Class. A true Victorian, old school teacher, with a pocked nose that was a beautiful hue of red that only the finest bottle of Jack Daniels could provide. He made my life a misery. Things he did back then would have him in front of some sort of board and out on his ear before you can say "Inappropriate use of a board rubber as child seeking missile". Unfortunately, I was not brave enough to stand up to this festering pustule of a human being like Hart does in heroic style during Shop Class. Even the attitude of the principle who forces Hart to take Shop rather than Home Economics is that of a educator from another age "Boys take shop, Girls take home ec." It shows how far we have come as a society that there is now no more gender bias when it comes cake baking and fruit salad preparation. Hart, in a recent interview, discussed the importance of the theme that runs through his characters actions. Some of the funniest, and grossest, parts of the film are based on true events. Fixing pupils woodwork project with au naturel super glue is something that Hart's real teacher used to do. Some of his old school class mates contacted the director after the release of his movie to let them know that they still owned their projects from that class and could point out exactly where the extract of facial cavity was used in a quick repair job. Fred Ewanuick, showing a natural talent as a mimic, gives a broad spectrum of voices. His performance lends life to the characters, making them relatable. In particular the slow drawling, nasal whine of the vice principle who seals Harts' fate by insisting that "Boy's take shop class, girls take home ec.". He also grunts through the hairy, tattooed behemoth Mister P, the teacher of myth and legend who's reputation alone can have a chap quivering in his Converse. The film makes you realise what a comedic force of nature Fred is. Now to a regular viewer of his work you would be aware of this already. However, to be able to coax a laugh by a simple grunt or a scream is not as simple as you would imagine. Combined with the highly stylised look of the animation and visual humour that fills the screen what we have here is eight minutes of comedy gold mined from a place that we have all been too. Mr. Snider has excavated a source that we are all familiar with and tells a tale that we can all find humour in through recognition. All the way to a literal shocking finale viewers of a certain age will be laughing and telling themselves that they are glad that their schooling is long since over. By the end of the short eight minute and change run time I found myself hoping that this could be developed into a show or a full length movie. 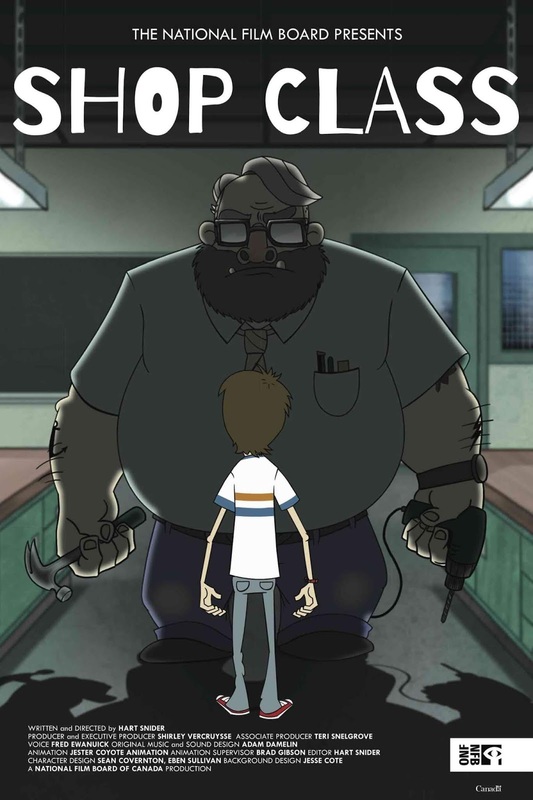 The "Saw" parody take on high school life, the overall look and feel of the short is unique in a medium that is awash with high school comedies, dramas, dramadies and comas (scratch that last one), not an easy feat to pull off. Anyway, don't just take my word for it. Check out the You Tube video below. 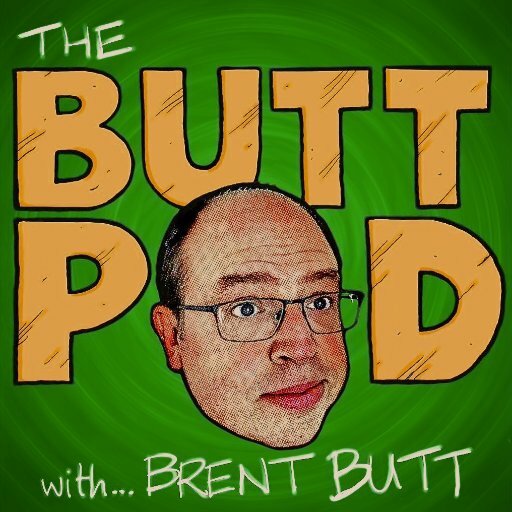 You can hear Hart talking about Shop Class here. I look forward to catching up with all his future projects, one of which is a documentary following the Canadian Fussball Team. Oooh ...I feel another round of "Six Degrees of Dog River" coming on ..you lucky ducks!